Emboss is the impressing that the images or texts in relief to achieve a raised surface, either overprinting or on blank paper (called blind embossing). 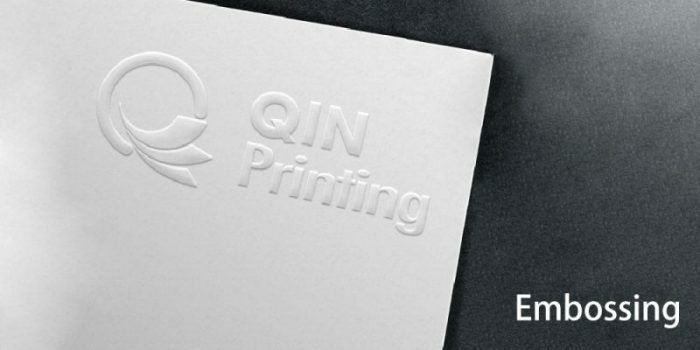 To make the embossing quality better, the paper should be over 300gsm art paper or over 250gsm C1S paper. Only the thick paper can be done with embossing. If it is paper wrapped on a board, such as hardcover, it can’t be done with embossing. Because the thick board is too firm. Embossing is used on the cover to stand out the LOGO or special images or texts. You can design the cover with blind embossing. You also can design any images and text with embossing. Embossing and spot UV are done together is also a good solution. Besides doing the cover with embossing, it is very popular to do the embossing on paper boxes. In common, the embossing texts are more than 14lb.